In our backyard we have a small heron feeder that just this year has attracted one of these crazy long legged bird like creatures. 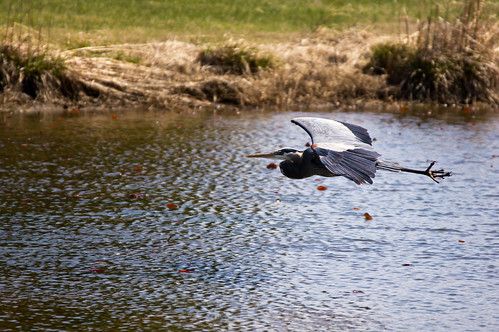 This may be that heron, but this is not our backyard (unfortunately). This a few miles away at a place with the on-the-nose name of LilyPons. We were there to buy some supplies for our heron feeder. They also sell heron food, but we still have 10 left so did not get any on this trip.